Reasons why you need to encrypt your smartphone! Advancements in technology have made our lives easier and everything is literally on our fingertips. As beneficial as it is for us, it comes with its fair share of disadvantages. Invasion of privacy is one of the major challenges that one faces while using modern technology. However, there are ways you can maintain your privacy and one of the best ways to do it is by using a cryptophone. If you are a novice and have doubts about encrypting your smartphone, then you are in luck. Below we share a few reasons why you should encrypt your smartphone. Just because you are not a celebrity or a public personality doesn’t mean that the information you share online, via various social networks or websites, is not valuable. If you love to indulge in online retail therapy every once in a while, your personal information, your credit card number and even your bank account information is out there in the open for anyone to abuse and misuse. Using an encrypted device secures your data and prevents your personal information from floating freely online. Using a smartphone has a lot of advantages. You can have access to everything through your phone, but it has a major disadvantage too. All your personal information is out there in the open via your smartphone. From the multiple apps, you download on your phone to the membership of various websites, it is unimaginable how much personal information you have exported. 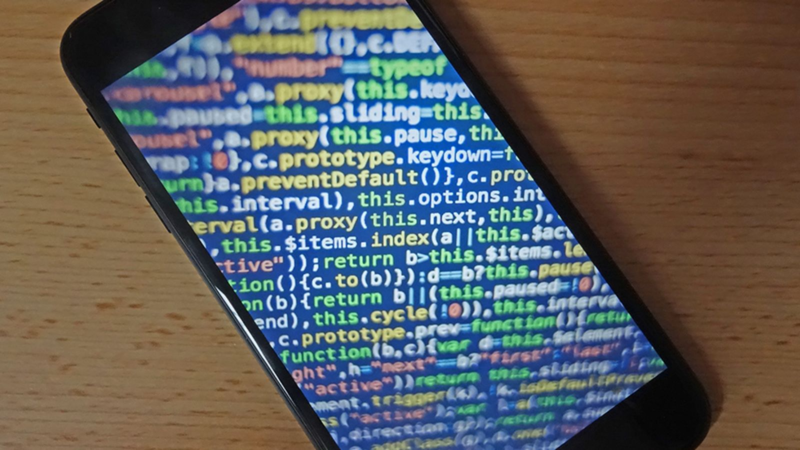 Using an unencrypted phone allows easy access of your data to the cybercriminals who can not only sell off your personal information to the Dark web but can actually harm you in person. Never underestimate the personal data you share online. You may think it has no value, but it may be of value to somebody else. It is fun sharing your pictures online with friends and family but what about some personal and intimate pictures you have on your phone? An unencrypted phone is an invitation to cybercriminals who can access these pictures and then use them to blackmail you! An encrypted phone or a cryptophone prevents anyone from accessing or scrolling through your photos on the camera roll of your phone and protects you. A Factory Reset Doesn’t Protect You! Encrypting your data before you even think of selling your phone is a smart move. Generally, it is recommended that you encrypt your data before restoring your phone to its factory settings to prevent anyone from accessing your information. You may think that just a factory resetting is required to wipe off your data but that is not the case. Restoring your smartphone to factory settings only deletes the data and a determined scammer can still get his/ her hands on your data. It is Important to Protect Your Privacy in Today’s World So Always Ensure that Your Phone is Encrypted! Posted in Technology and tagged cryptophone on April 4, 2019 by gua. What if a professional athlete set a standard where winning was not enough? Instead, they had to achieve a personal best or break a previous record year after year. What if a new theme park opened on schedule, with no delays, and offered tickets to the first one million visitors to return at any time and bring up to 100 guests at no additional charge? Welcome to my world. As an IT provider, I face the similar challenge: that is, delivering a project experience to customers that will not only achieve all project goals, but also blow them away. Sound familiar to anyone? These are some of the reasons why PMI (pmi.org) reports that 89 percent of projects at high-performing organizations meet their original goals and business intent, compared with just 36 percent at low-performing organizations. Those low-performing organizations also lose 12 times more money than high-performers. My customers include professionals in all aspects of IT service delivery. Their business and IT needs are great because so much depends on the success of these projects-their budgets, their revenue goals, their own staffing decisions, their perceptions to upper management, and the perceptions of other customers. But what many people don’t realize is the poorly performing projects hurt both customers and providers equally. Obviously the customer is frustrated and perhaps feels slighted in what they are getting versus what they are paying for. These kinds of projects severely impact the provider as well. The provider’s number one priority is to deliver on the scope of the project to the customer. That has to be the most important principle for a provider, held above all else, because a project that ends with an unsatisfied customer is a complete waste of everyone’s time. However, a very close second priority is delivering a project quickly and efficiently, even when there is no time pressure from the customer. Long-running projects incur overhead in several forms. As projects run late, the provider may now have more concurrent active projects. Their engineers have to split their time and attention between two or more projects which can result in lower quality. The longer the project goes on, the more disconnected the team can become, momentum slips, and decisions made early on can start to be questioned. Changes in direction often delay the project even longer and more meetings are likely to occur. For a typical small project with just five resources, a two-month delay can easily incur 50 hours of additional time. I have found that successful projects that avoid these pitfalls and end in mutual accomplishment always require both parties to be fully engaged and invested. Since the nature of project delivery is a client/merchant one, it is up to us as IT service providers to ensure that engagement happens and to drive mutual investment in the outcome. First, let me expand on the benefits of customer’s remaining actively invested in their projects. When a customer signs a statement of work (SOW) for a project, they agree to pay some amount to have work done. Whenever money changes hands like this, a sense of entitlement on the customer’s part can sometimes emerge that often goes like this: “I did my part by paying you, now you go deliver on what I paid for”. I want to be clear and say this is perfectly understandable and not completely unreasonable. However, as providers striving to fully deliver on customer needs and goals, we need the customer to remain engaged and part of the process. I call it everyone in the boat and the metaphor is interesting to me because you can think of it as the project team bringing the customer to the goals rather than bringing the goals to the customer. In the boat, the provider is the captain and crew of a private cruise liner and the customer is the pampered passenger with input on where the yacht goes. In the end, however you conceptualize it, a customer that is engaged in a project is less likely to be critical of decisions made about direction and design and more likely to feel some ownership in the outcome. A customer who is part of the process is less likely to criticize than one who remains distant as an observer. In my experience, projects with high customer involvement always end smoothly with a sense of mutual accomplishment. They often build lasting business relationships between provider and customer. Let’s examine some tactics to improve customer engagement and buy-in. The following two main methods get customers engaged in projects, help keep them engaged, and improve efficiency as you work. Building mutual respect is a key to smooth projects. Mutual respect means that decisions can be made about the project constructively and without dissent. There are several aspects to building a relationship based on mutual trust and respect. First Impressions: The old cliché is true; there’s only one chance at a first impression. Moreover, a good first impression only lasts as long as you live up to it. The minute you falter, the good first impression is gone, so it is critical that you stay consistent in your positive interactions. Do your homework and make sure all project team members know the project inside and out and are ready to speak authoritatively on their parts before engaging the customer’s team. Mutual Decision Making: Next opportunity for building trust and respect is the experience you bring the customer in mutual decision making. As the provider, it’s important to take the time to lead them through the decision process. Where there are no customer opinions, backfill with yours. When a customer has a strong opinion on a topic try to yield to their desires. When the customer desires are not aligned with your agenda (best practices or efficient execution) then you must engage them in dialogue. That dialogue must always be grounded in respect for the customer’s point of view and focused on a mutually beneficial resolution focused on the goal not the execution (the what, and not the how). Respect for Time: While keeping the customer involved, we never want to waste their time. Guide them to focus their attention on the important parts of the project and not the mundane details. Customer’s should be engaged in decisions about whether or not to do something but not necessarily about how exactly to do that thing. Customer’s should be appraised of the how, but in more of a review format to build buy-in for execution. Execution: One sure-fire way to lose respect of the customer is to fail to execute. Always do what you say will you do, when you say you will do it. As mentioned above, mess this up once and you’ve lost the game. For that reason, it is very important that you are realistic about what you say you will do and when you will do it. Set yourself up for this, you are in control of the expectation and the execution. If you have a perfect track record of execution, the customer won’t have a reason to question your plan. The what, when, and how of communication can really make a difference in projects. Separate customers will react in different ways to your communication methods. For example, one might prefer a regular status update in e-mail while another one expects to view a milestone report with a summary of weekly achievements. Goals: The very first communication engagement should be about establishing project goals. This may or may not be adequately defined in the presales process so it’s the first opportunity to interact. If the goals have already been adequately defined, then the provider’s role here is to articulate these goals back to the customer to make sure customer and provider share the same vision of the goals. If they are not the same vision, or the goals have not been adequately defined, this engagement is the first opportunity for customer and provider to collaborate and build mutual trust/respect. Level of Detail: Meaningful ongoing communication should be tailored to the individual customer. There is no right way to go about it. Too much can be a turnoff for customers and will result in them disconnecting, too little and they’re wondering if you’re making any progress at all. I personally like the more frequent informal contact with periodic formal updates. Keeping with respecting the customers time concept, the updates must be meaningful and relate back to their business needs, not related to gory details of execution. Consider a daily dashboard with a series of weekly reports. Good project delivery creates a line between creativity (design) and execution (plan). Customers lose faith if you are months into a project and need to redesign some work item every week. Attempt to get all design details done and communicate about those design decisions up front. As a provider, walk through the whole execution conceptually and figure out all the questions that need answering first. Engage the customer in a high-level walkthrough of the project and derive answer to those questions. During the design stage, gather information and understanding from sessions with the customer but organize the designs into work plans away from them to save time (yours and theirs). Present and review for final approval. Once you both agree on all design elements, close the design discussion, and begin executing to a plan/timeline. For large projects, break this cycle up into chunks if appropriate. Posted in Technology on October 6, 2018 by gua. 3D scanning process has proved to be very beneficial in capturing the exact measurements and shape of any given object. It is a technology that has eased production processes in all fields and more people are now embracing the benefits of this sought of scanning where total accuracy of details on an object is needed. It is a process that has actually reduced manufacturing costs and yet offers higher quality parts in the end. Below are some of the top areas the 3D scanning benefits. This process can be applied to prototype phase in different kinds of ways, but the major use is to reduce design cycles needed in the prototyping. When 3D scans are used in designing a part, the accurate data makes it possible to utilize precise measurements of the physical product reducing the process by a huge percentage. The scanning is also combined with prototyping so that physical objects are scaled accurately. It is among the areas that have greatly benefited from 3D scanning. They scans are applied starting with physical object and then using this to create a CAD model. Mating parts are also scanned and then incorporated into a given design so the end result is better fitting parts that are consistent. This process is known as reverse engineering or modeling and when utilized, new designs are improved and incorporated for engineering optimization of manufactured part. In production, the scanning is used to capture tooling or parts changes which occur in the production phase. Usually hand tuning is needed in tooling to get the desired finish and look of a given part. When 3D comes into the picture, the optimizations and hand modifications are easy to transfer from tool to tool so all parts manufactured match after the production ends. The scans also help in analyzing and characterizing tool wear during the production; this is very helpful in correcting tool failure or eliminating the same before it is too late. It is actually very possible to recreate optimized part using a 3D scan. 3D scan data makes it possible for physical objects to be translated into the engineering phase of projects directly. The data offer flexibility in performing FEA, CAE, CFD and other analysis that is necessary in the engineering area on objects manufactured and physically modified. The process offers a simple way of achieving accuracy. Using 3D scanning, it has become possible to analyze built condition of parts after manufacturing. This non-contact technology offers a quick way of inspecting overalls size and shape of the parts and detecting issues that could affect performance of the parts. When combined with statistical analysis software, 3D scanning helps maintain and predict the quality of parts in the manufacturing phase. It might sound unrealistic, but 3D scanning comes handy in vision systems used in distribution and shipping centers to sort and track packages. The scanning certifies the integrity of products before and after shipping. It is also used to increase packing density and creating support structures and casing. Posted in Technology on September 30, 2018 by gua. Drones make very popular gifts for children and with so many models available for kids, you will find one that your child will love flying. Drones are generally safe for children and you therefore have nothing to worry about. You can actually improve your family time when you get a drone for your kids complete with a camera to capture those moments in the park or around the house or garden. The good thing about kids is that they are fast learners and it will take a short moment for them to learn how to safely control the drones. It is however still important that you supervise the kids as they enjoy the flying. When you are out looking for the best drones for kids, you will realize that quality increases with price. But there are so many sturdy and cheap drones you can get for your kids. With the right selection, you will be able to purchase a drone that is easy to fly, easy to maintain and one that is durable for that matter. The truth is that drones are not suitable for kids of any given age. Drone manufacturers do give age recommendations when it comes to the mini drones with eight years being the cut for most. You can however also use child maturity to determine what age is perfect for them to own and fly a drone. Whereas age of 10 may look suitable enough, children who are familiar with robotics and such may be able to fly the drones at younger ages. The age should also guide to the drone features that are relevant. For instance, kids over age of 12 will most likely find action camera drones more appealing than those without. These are the two elements that play a role in drone accidents. When choosing drones for kids, it is safer that you go for the model made of ABS plastic that is lightweight and durable. This kind of a drone eliminates the damage that could be caused by a much heavier or larger drone, especially when a child is just learning to fly. Small toy drones are basically harmless. Lower yaw rate are also best for kids. Propeller rotating speeds should be selected accordingly to minimize dangers when children are learning to fly. Slow flying drones are safer for kids, but you can always upgrade the size and speed according to the age and skill achieved. You can either get an indoor or an outdoor drone for your child or one that can be flown in both environments. Indoor drones have stable hovers and very responsive commands whereas outdoor drones should at least be wind resistant and feature motor power to keep hover stable. Before buying, ensure that you have enough space to fly it, whether indoors or outdoors. The last thing you want is to have your kids fly the drones in your neighbor’s space which can be privacy invasion. Drones for kids can keep them busy and excited as long as you choose a safe and secure model. Find out all about the drone before buying so you are sure it is the best for the child. Posted in Technology on September 27, 2018 by gua. There are many people who would like to buy a drone for themselves but these aerial vehicles come at a premium price. This is why you have to weigh various pros and cons before you get to the stage of buying a drone. You may like to have a reception party and capture those precious moments at angles and heights that look amazing. If you have money to spend then you could buy a drone for your personal usage. However, like most people, if your spending budget is low then it is better to rent a drone instead. There are various companies in the market that offer drone rentals. When it comes to deciding upon buying or renting the drone, you must consider the pros and cons of both. Drones are anticipated to have a wide variety of uses in the future but for now the use of drones is mostly used for photography, while few are using them for surveillance, inspections and survey and mapping purposes. So, if you are not a professional photographer who needs to use a drone frequently, you probably don’t need to buy it. Simply renting the drone would be an ideal fit for you as it would allow you to use the drone when you have a need for it and then return it back when it has served its purpose. Posted in Technology on September 25, 2018 by gua. Purists and Scrum hipsters will argue that dispersed teams are a taboo in Agile communities of practice. However, in reality there are many instances where an organization has to outsource due to lack of local skill set or other reasons. Being prepared for what to expect and how to approach and prepare for the facilitation of distributed teams can go a long way in ensuring the success of the Agile initiative. Distance isn’t such a problem, time zones are! Posted in Technology on September 23, 2018 by gua. Businesses and consumers alike are finding new ways to use drone every day. From real estate to event photography to sports, drones are being used for a number of purposes. On top of that, people are finding drones to be a great past time activity too. This is the reason why there has been a spike in the demand of the drones and people all over the world are looking to buy one. However, buying a drone isn’t a piece of cake. There are a number of aspects that you need to keep in mind before you go into the market to buy one. The following are some tips that are going to help you in buying a drone that is fit for your needs. The following areas should be examined prior to purchasing a drone. The first tip for buying a drone is to identify the purpose for which you want this vehicle. For instance, if you are looking to get this device for purely recreational purposes then even a small and cheap quadcopter would be enough. However, if you want to buy the drone for professional aerial photography and videography then you will have to go for a more advanced model that is capable of capturing photos at different angles. For cargo carrying requirements, you will require a drone that is capable of lifting heavy loads and carrying them over long distance. If you plan on buying the drone for inspection purposes then it would be best for you to opt for a drone that can function in unfavorable conditions. Drones used for wildlife photography are usually quite expensive and should only be bought if you are a wildlife photographer who wants to capture the wild animals in their natural habitat without risking yourself. Another of the aspect that needs to be considered when it comes to buying drones is that of its machinery. There are various types of drones available in the market but they have their own respective mechanisms. You have to understand that not all drones have the machinery available to perform the functions that you want them to do. For instance, if you want to get the drone simply for the fun then a quadcopter with simple machinery would be just fine. However, if you plan on using the drone for a commercial purpose then the quadcopter would not be enough. You will then have to go for a drone whose machinery is capable enough to complete the task be it photography or package delivery. Another tip that might come in handy when you are buying a drone is to have a close look at its design. Generally all the UAVs have the same basic idea; they fly without the need of an on-board human pilot. However, they differ on the basis of their design. For instance, the quadcopter has four motors to propel it and look almost like a helicopter while the military grade drones are jet fueled and look more or less the same as usual airplanes. So, unless you are in the military and are in need of a stealth drone, it would be best for you to go for a drone that has a simple design. Drones are mostly being used for the purpose of photography and videography. If you want to use yours for the same purpose then you will have to find one that has a camera installed on it. However, an ordinary camera won’t do the job. You would have to make sure that the camera mounted on the drone you are buying is a good one that can take high quality pictures with ease. Another tip to keep in mind is to buy drone that has a gimbal support. The gimbal support is going to keep the camera stable during the drone’s flight, allowing it to take better photos and videos. Battery timing is of great importance too when it comes to buying UAVs. Generally, a quadcopter or drone will fly for around 5 to 15 minutes at a stretch. With a bigger battery, the drone can stay airborne for more than an hour. So, it is best that you go for a drone that has a powerful battery especially if you want to use it for aerial photography or inspection purposes. Make sure that the battery of the drone is rechargeable and can be quickly powered up. The range of most of the drones is not more than 50 meters. This is generally a suitable distance for taking aerial shots. However, there are advanced drones available too that have a much higher range. If you want the drone for wildlife photography, then it is best that you go for one that can provide you with a range close to 100 meters or more. Always ask the dealer to provide you with spare parts for your drone. Most of the drones available in the market come with spare rotors as these parts of the drone are fragile and can breakdown if consistently used. The price of the drones is dependent on their type. If you want to buy the most basic model then you won’t have to spend a great deal of money on them. Still, it would be a considerable investment as these aerial vehicles don’t come cheap. You can get the drone for a lower price if you look for them on the internet. There are many websites that provide discounts on the sale of quadcopters. In closing, there are a number of aspects that you need to keep in mind before you go into the market to buy drone. If you take these considerations in mind you will get the most out of your investment. Posted in Technology on September 8, 2018 by gua. Cloud computing has revolutionized the way technology is used to share information and resources to achieve coherence, relevance and economy of scale. These three factors are hugely important today when individuals and businesses require being in the forefront of their activities and achieving profits and revenues while reigning in expenditure. This kind of computing is the method or model of internet-based computing that provides on demand, processing capabilities as well as data to computers and other devices on a network through a shared pool of resources such as applications and services, networks, servers and storage devices, which can be requested and used with minimal effort. Cloud computing enables businesses and users with capabilities to store and process vital data in third-party data centers. In simple terms, cloud computing means the storing and accessing of information and applications over the internet instead of leaving them on local hard drives or in-house servers. The information accessed is not ‘physically close’ and the metaphor ‘cloud’ relates back to the days of flowcharts, graphs and presentations where the server infrastructure was depicted as a ‘puffy, white cumulus cloud’ that stores and doles out information. Cloud computing or ‘the cloud’ as it is commonly known enables a ‘pay as you go model’. The availability of low-cost computers and devices, high-capacity networks and storage devices as well as complementing factors like service-oriented architecture, adoption of hardware visualization and utility computing have contributed to the success of cloud computing in a very big way. Broadly, that sums the essence of this kind of computing. However, there are several loosely coupled components and sub-components that are essential to make computing work. These are divided into two sections – the front end and the back end which connect to each other via the Internet. The Front End is the physically visible interfaces that clients encounter when using their web-enabled devices. Not all computing systems use the same interfaces. The Back End comprises all the resources that deliver cloud computing services. These are essentially virtual machines, data storage facilities, security mechanisms etc. that together provide a deployment model and are responsible for providing the ‘cloud’ part of the computing service. The high demand for cloud computing is further enhanced by the advantages of cheap service costs, high computing power, higher performance and scalability and easier accessibility and availability. Posted in Technology on September 5, 2018 by gua. Fiber optic cables are often used in computer connections. One of the most sensitive issues with computer connections is the ability of other people to get access to your information through hacking. The cables use light that stays within the cables which makes it difficult for hackers to access your data. While this is the case, it doesn’t mean that it’s impossible for hackers to access your information. All the hackers need to do is to have a network tap and a physical access to your cable. Due to this risk, you should take the safety of your computers seriously to prevent people from getting into your network. You should also encrypt any data that you want to be kept private. In most cases, fiber optics are compared to copper. Since they are competitors, many people feel that their infrastructure is different. This isn’t the case. Most of the parts and pieces of the two are similar. The wall boxes, patch cables, wall plates, and in-wall components are the same. The layout of the two networks is also similar. If you didn’t know some inside details about optic cables now you know. For the units to give you ideal results you need to buy them from a reputable store. Posted in Technology on August 31, 2018 by gua. Photogrammetry can simply be defined as the measurement of photographs. It is a process that largely depends on camera positioning around the given subject and light control to create high resolution details of skin and clothing. The scanning can be used for capturing data for various projects including face replacements and CG characters. With so many variables to control, photogrammetry scanning can be overwhelming. There is just too much trial and errors involved to achieve best practices but with a few helpful tips, it is very possible to achieve accuracy and top quality with the process. Tip 1 – Think about overlapping coverage. When building your setup, you should use as many cameras as possible so you are able to reduce or minimize manual cleanup later. Enough coverage translates into very decent recreation and you will also rarely miss any information when you use enough cameras so manual cleanup is very minimal. Tip 2 – Put in measures to minimize distortions. When there are distortions, it is given that your system will have issues aligning the images. The fact is that most Photogrammetry systems come with a lens that helps reduce images, but it is always a much better choice to try and minimize it in-camera. Use tools that match with the camera format that you are using to get the best results every time. Tip 3 – Mask out the background to dramatically improve overall quality of generated mesh and post processing time. It is a process that can be time consuming, especially when you need to go through every single picture but it pays off in the end. If manual masking is something you would rather avoid, then you can use systems that offer automatic masking feature to achieve a clean background. It also helps to tie cables together and eliminating any junk from the frame, especially when using a camera rig. Tip 4 – Focus on more resolution when operating. You can use as much as necessary from your sensor because the more the resolution you can achieve then the more detailed your mesh is going to be. Try every way not to waste a single pixel if you can actually use it for quality benefits. Tip 5 – Remember that lighting remains key in all kinds of photography. To increase depth of filed and eliminate photo noise, keep your aperture small and ISO as low as you can. But because doing so will definitely decrease amount of light that you get to work with, ensure that you have other light sources to substitute. Consider using flashes over continuous lighting that are less efficient, less color accurate and expensive for that matter. Flashes keep talent comfortable and enough lit unlike continuous lights that can produce heat leaving enclosed rig hot. Tip 6 – Pay attention to photo orientation. It is factor that plays a huge role in accuracy of projects and it needs to be accurate for every camera position. Increase number of well-positioned points to improve orientation quality. These points should take up a greater percentage of photograph area. Photogrammetry is among the services that you can enjoy from 3D scanning experts. Choose a service provider you can trust to deliver quality to your photo project, however demanding it could be. Posted in Technology on August 26, 2018 by gua.